But if you do the math, that’s still $270 a month – for a Toyota Corolla. Now how good does that deal sound? A local Toyota dealer is blasting this ad all over the airways here (radio & TV) in an effort to trick buyers into thinking how affordable a new Toyota is. “Only $9 A Day!” sure sounds like a deal at first listen, doesn’t it? How many people will hear that ad and rush into the dealership to pick out their new car? I am betting a bunch – it’s actually a very good marketing idea, and I will give kudos to the ad department for coming up with it. I mean, if a latte at Starbucks costs $3.50 and people gladly pay it every morning, it should be an easy sell to get people into a new car for only a few bucks more! But to put it in perspective, I currently pay well under $300 a month for my Subaru Forester — and I paid under $400 for my Audi back in my high-rolling days. Don’t fall for these types of advertising campaigns, as they are designed to make you think you aren’t spending that much money every day on your new car. $9 a day may not sound like much, but it is $270 a month and/or $3,240 a year if you extend out your calculations. 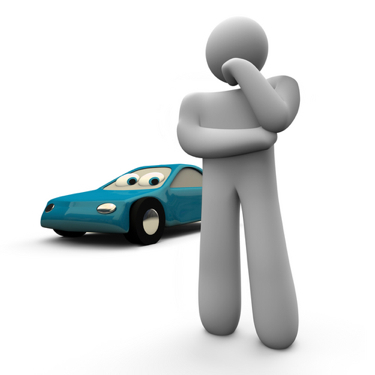 If you want to spend that kind of money on a new car, make sure that A. you can afford it and B. it’s car you want. There is absolutely nothing wrong with a Toyota Corolla, but I definitely would not pay almost $300 a month for one. How To Pay Your Price On Your Next New Car Purchase – Part Three. Or you could get a New Corolla for only 37.5 cents per hour! Woo Hoo!